How to keep your make-up brushes beautiful! 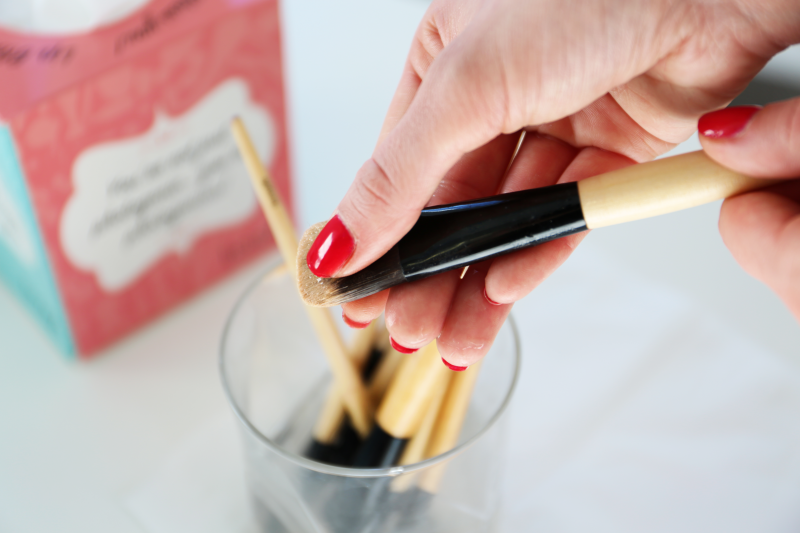 Lets face it – we all neglect our brushes from time to time whether they’re collecting dust in a lonely corner, stiff with product build up on our dressing tables or simply swimming around our make up bags looking a bit yucky. Give your brushes the tender love and care they deserve and clean them regularly to keep them lasting longer. 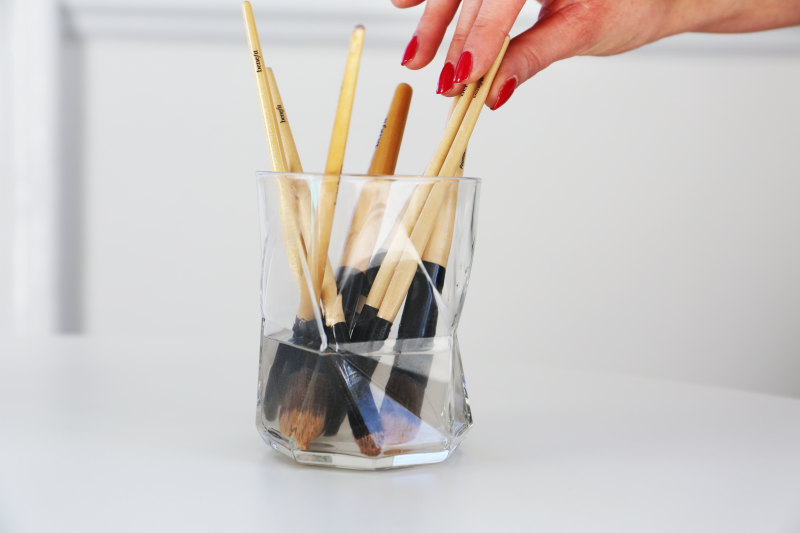 Place your brushes in a glass tumbler of shallow warm water, so your brush bristles are immersed. Leave to soak for 5-10 minutes to loosen product build up within the brushes.  Using a brush cleanser or gentle shampoo (baby shampoo), massage your brushes working from bass to tip until the shampoo begins to lather on the brush. Baby shampoo is ideal as it’s not as astringent as normal shampoo, maintaining your brushes longevity by conditioning as well as cleaning. Rinse your brushes under a gentle flow of warm water until the water runs clean through the brush. Reshape the brush by lightly pinching the brush from bass to tip, this will not only help to hold the brush shape whilst drying but removes excess water that has been held in the brush for a faster drying time. 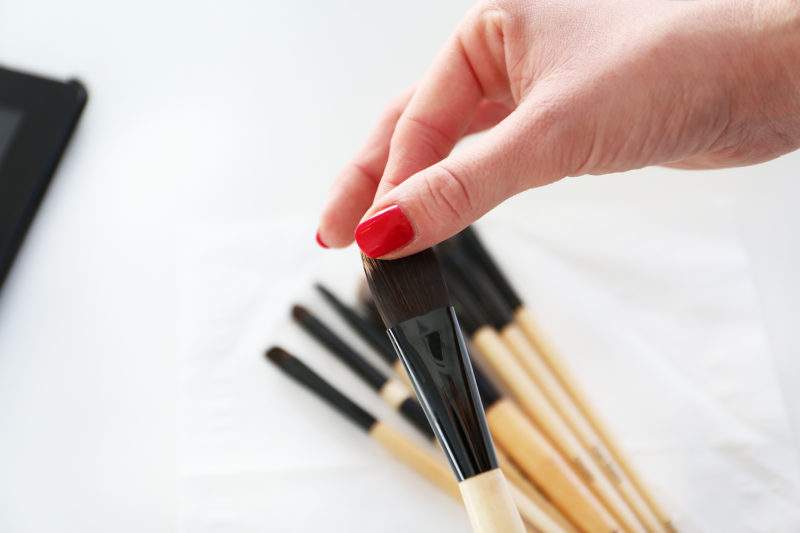 Place the brushes on a small towel and let them dry naturally for 6 – 8 hours, preferably overnight. Do not use a hairdryer to dry your brushes, as direct heat can damage your brushes. So ladies, give your brushes a little treat with a shampoo and reshape once every two -three weeks. 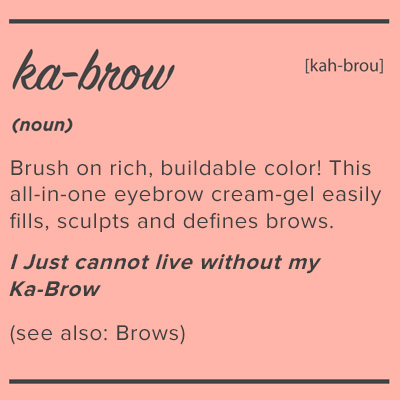 After all, happy brushes result in beautiful make up. Got any questions? Send our Lauren a tweet @Lauren_Benefit!